Chamorro is an Austronesian language spoken by 45,000 people in the unincorporated U.S. territory of Guam and in the U.S. Commonwealth of the Northern Mariana Islands. Chung and Dr. Elizabeth D. Rechebei, a retired Chamorro educator, will work with the Chamorro community in the Mariana Islands to significantly upgrade the documentation of the language. "Chamorro is now at a critical moment in its history, when improved documentation could make a real difference to its survival as a living language, " Chung noted. "I'll write a new grammar of the language, and Dr. Rechebei will supervise a working group that will revise the Chamorro-English Dictionary; she will also supervise the videotaping of the life histories of Chamorro elders," Chung added. Total funds awarded for the three-year collaborative project are $300,000, of which $15,000 will go to UC Santa Cruz. 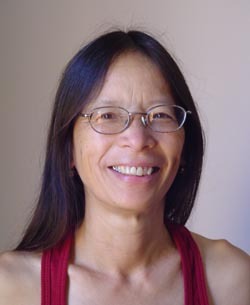 Chung, who has done linguistic research on Chamorro since 1976, will write a new comprehensive reference grammar of Chamorro intended for linguists, Chamorro speakers, and language learners. The grammar, revised dictionary, and oral histories--in video and print formats--will provide a highly detailed, accessible record of the Chamorro language for future generations. The completed project will also serve as a valuable reference for the development of the next generation of Chamorro bilingual education materials-contributing to the teaching and learning of the language--which Chung said could make a critical difference to its survival.